I was struck by two things after watching Gov. 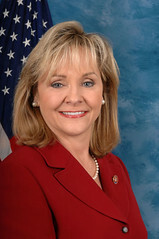 Mary Fallin’s State of the State address on Monday. First, her proposal to drastically cut the state income tax starting in 2013 makes it highly likely there will be some type of tax cut this upcoming legislative session. Fallin is a fairly popular governor, leading a surging Oklahoma Republican Party. It’s doubtful there could be enough GOP in-fighting or a large enough corporate-funded television advertisement campaign, if any, to stop the measure through generating popular opposition. In addition, proposing extreme cuts leaves the door open for a “compromise” measure that might lead to smaller cuts over a larger time frame. The message is clear, though: Conservatives see eliminating the state income tax as a panacea. Under Fallin’s plan, those couples who make $30,000 a year or less would pay no taxes while couples making $30,000 to $70,000 would pay 2.25 percent. Those couples making over $70,000 would pay 3.5 percent. Individuals making $35,000 and above would pay the 3.5 percent rate. Eventually, Fallin’s plan would eliminate the income tax altogether through annual income tax cuts tied to revenue growth. The state’s current top tax rate is 5.25 percent down from 6.65 percent in Gov. Frank Keating’s years as governor. The second thing that struck me about Fallin’s address was the lack of specific information about how the tax cut would be paid for without draconian cuts to state government. First, by eliminating tax loopholes, carve-outs and other exceptions. Second, by continuing to eliminate government waste and making government more efficient and effective. We’ve already proven that we can find substantial savings through government modernization initiatives. Third, by capitalizing on economic growth we expect to see as a result of our pro-jobs, pro-business policies. Only Fallin’s first reference-eliminating tax loopholes or credits or exemptions equal to the cuts-is a sure thing. Eliminating government waste and the supposed economic growth that will follow a major tax cut as ways to pay for the tax cut are ambiguous at best. This means as the plan makes its way through the legislature, there are going to be winners and losers when it comes to losing tax advantages or breaks, and it’s quite possible too much of the burden will fall on Oklahoma’s lowest income earners. Perhaps even worse is what will happen during the next major economic downturn if the tax cuts are implemented. Income taxes provide about one-third of the state’s revenues. A major loss of jobs here-think what sustained lower oil and natural gas prices would mean when it comes to employment and other taxes– could lead to huge cuts in state services and education. This, however, is the path we’re on with the huge conservative majority, which will probably grow even larger after the 2012 election, now governing Oklahoma’s state government. Conservatives here and elsewhere have made no secret of the fact they want to cut taxes and shrink government. I sense a majority of Oklahomans believe in this governing philosophy right now. That’s the reality.